Quest Technologies Pvt Ltd, is dedicated to providing an all-round top quality service. The terms and conditions which follow are necessary to ensure that we may continue to provide the best possible service to all of our customers whilst at the same time satisfying our legal and ethical responsibilities. Failure to follow any term or condition will be grounds for immediate account deactivation without notice. Quest Technologies Pvt Ltd will be the sole arbiter as to what constitutes a violation of any of these provisions. Our servers may be used for lawful purposes only. Transmission, storage, or distribution of any information, data or material in violation of any applicable law or regulation is prohibited. This includes, but is not limited to: copyrighted material, trademark, trade secret or other intellectual property right used without proper authorization, prescription drug sales, and material that is obscene, defamatory, constitutes an illegal threat, or violates export control laws or the laws of the state of Florida. Examples of non-acceptable content or links: Pirated software, Hackers programs or archives, Warez sites, MP3, and IRC bots. The subscriber to Quest Technologies Pvt Ltd’s service agrees to indemnify and hold harmless Quest Technologies Pvt Ltd from any claims resulting from the use of the service that damages the subscriber or any other party. No online pharmacies are allowed on our network. Sites related to HYIP (High Yield Investment Programs), Ponzi schemes or pyramid schemes are prohibited. Quest Technologies Pvt Ltd will be the sole arbiter as to what constitutes a violation of this provision. 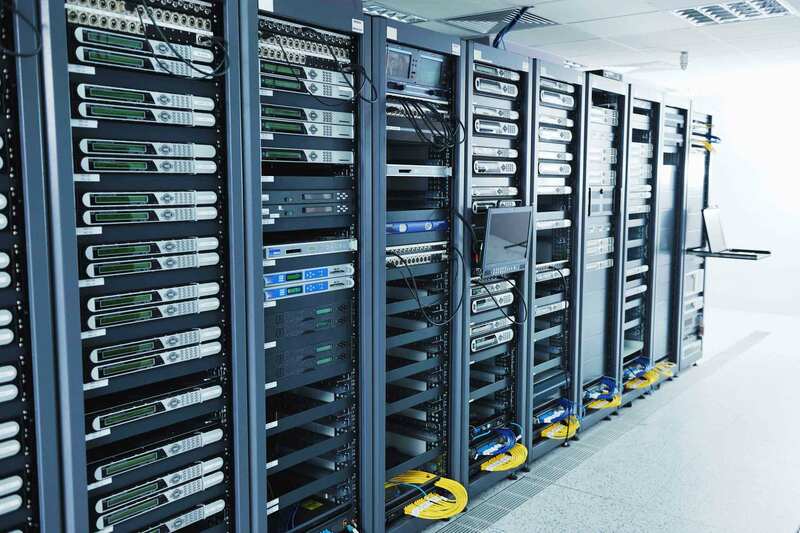 Any website that uses a high amount of server resources (such as, but not limited to, CPU time, memory usage, and network resources) will be given an option of either paying extra for a dedicated server / semi-dedicated server (which depends on the resource needed) or reducing the resource used to an acceptable level. Quest Technologies Pvt Ltd shall be the sole arbiter of what is considered to be a high server usage level. Quest Technologies Pvt Ltd does not allow background Daemons such as IRC bots; eggdrop; BitchX; XiRCON; and any other program that interferes with normal server operation. Quest Technologies Pvt Ltd does not allow IRC server, IRC bots, or IRC shells to be operated on our network. We do not allow proxy servers or scripts, torrent trackers or torrent clients to be run from our shared/reseller hosting servers. Quest Technologies Pvt Ltd performs daily, weekly and monthly backups on all servers to ensure critical files are never lost. However Quest Technologies Pvt Ltd is NOT responsible for lost data, time, income or any other resource due to faulty backups or non-existent backups. Please always backup your own data for redundancy. For us to restore a backup for your account due an error made beyond our control, there is a $15.00 one time fee required. If your account or data is lost due to system or drive we will restore it at no additional charge. The data on our shared servers are backed up on a separate hard on a weekly and/or daily basis. Due to the nature of hard drives having errors or issues we can not ensure 100% recovery, however we will always strive to recover 100%. The charge for the restore is used to maintain the highest level of security and integrity on our backups and to strive to be able to help you restore data which may be unrecoverable without backups. The client is responsible for all activity originating from the account unless proven to be a victim of outside hacking or address forgery. The client is responsible for securing their username/password. The client assumes responsibility for all material on their site that may be put on by a third party (such as the usage of Free For All links pages). Use of Quest Technologies Pvt Ltd’s service requires a certain level of knowledge in the use of Internet languages, protocols, and software. This level of knowledge varies depending on the anticipated use and desired content of the web space by the client. The following examples are offered: Web Publishing: requires knowledge of HTML, properly locating and linking documents, FTPing Web contents, Graphics, text, sound, image mapping, etc. FrontPage web publishing: knowledge of the FrontPage tools as well as Telnet and FTP understanding and capability. CGI-Scripts: requires a knowledge of the UNIX environment, TAR & GUNZIP commands, Perl, C Shell scripts, permissions, etc. Mail: a use of mail clients to receive and send mail, etc. The client agrees that he or she has the necessary knowledge to create and maintain their web space. Client agrees that it is not the responsibility of Quest Technologies Pvt Ltd to provide this knowledge or support outside matter specific to Quest Technologies Pvt Ltd servers. Uploading, posting, emailing, transmitting or otherwise making available any UNSOLICITED or unauthorized advertising, or promotional materials where examples of these include but are not limited to “junk mail,” “instant messaging,” “chain letters,” “pyramid schemes,” or any other form of unauthorized solicitation from or through a WebHosting Nepal server or using an email address or system that is maintained by WebHosting Nepal is STRICTLY prohibited. WebHosting Nepal will be the sole arbiter as to what constitutes a violation of this provision. If you engage in any of the foregoing activities using the service of another ISP or IPP, but channeling activities through a WebHosting Nepal server as a mail drop for responses, you are in violation. Violators will be assessed a minimum of $200.00 fine and will face an immediate suspension and/or termination. See our NO SPAM Policy for more details. Any attempts to undermine or cause harm to a WebHosting Nepal server or customer of WebHosting Nepal is strictly prohibited. Any sub-networks of WebHosting Nepal and dedicated servers must adhere to the above policies. The failure to meet or follow any of the above guidelines are grounds for account deactivation. We reserve the right to remove any account without prior notice. User agrees to only use shared hosting services for its intended applications. Misuses include scientific/grid/distributed computing, data warehouse/backup storage, or bandwidth sinks. WebHosting Nepal.com, Inc. will be the sole arbiter to what is considered a misuse of service. User agrees to ask WebHosting Nepal.com, Inc. in the event they are unsure of their application’s fitness for our shared hosting services. 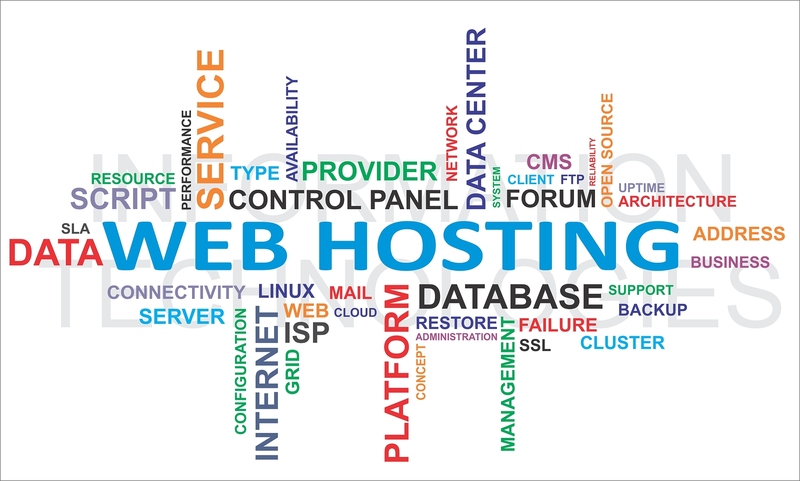 WebHosting Nepal.com’s shared Web Hosting accounts are not to be used for the purposes of distributing software and multimedia products. If you wish to distribute software and/or multimedia files, please contact sales @ WebHosting Nepal.com for special arrangement. Multimedia files are defined as any graphics, audio, and video files. WebHosting Nepal.com Web Hosting accounts are not to be used for the purposes of distributing and storing unusual amount of multimedia files. Any Web site whose disk space usage for storing the multimedia files exceed 70% of its total usage, either in terms of total size or number of files, will be deemed to be using unusual amount of multimedia files. WebHosting Nepal will take necessary steps to register domain names on behalf of the client when requested. However, clients are responsible for renewing their domain names. WebHosting Nepal does not take responsibility for failing to renew domain names. If your domain name was registered via our company, you must check and take appropriate actions to renew a domain that is about to expire. We do not handle renewals unless specifically asked for by sending a ticket to our helpdesk. The failure by a customer to meet or follow any of the above policies/terms is grounds for account deactivation. WebHosting Nepal will be the sole arbiter as to what constitutes a violation of the AUP. WebHosting Nepal reserves the right to remove any account without prior notice. When WebHosting Nepal becomes aware of an alleged violation of its AUP, WebHosting Nepal will initiate an investigation. During the investigation, WebHosting Nepal may restrict a customer’s access in order to prevent further potentially unauthorized activity. Depending on the severity of the violation, WebHosting Nepal may, at its sole discretion, restrict, suspend, or terminate a customer’s web hosting account and/or pursue other civil remedies. If such violation is a criminal offense, WebHosting Nepal will notify the appropriate law enforcement authorities of such violation. WebHosting Nepal does not issue credits for outages incurred through service disablement resulting from AUP violations. WebHosting Nepal customers agree to indemnify and hold harmless WebHosting Nepal from any claims resulting from the use of our services that damages them or any other party. The WebHosting Nepal service is provided on an as is, as available basis without warranties of any kind, either express or implied, including, but not limited to, warranties of merchantability, fitness for a particular purpose or non-infringement. WebHosting Nepal expressly disclaims any representation or warranty that the WebHosting Nepal service will be error-free, secure or uninterrupted. No oral advice or written information given by WebHosting Nepal, its employees, licensors or the like, will create a warranty; nor may you rely on any such information or advice. WebHosting Nepal and its partners and suppliers will not be liable for any cost or damage arising either directly or indirectly from any transaction or use of the service. WebHosting Nepal reserves the right to add, delete, or modify any provision of this Policy at any time without notice.